Carboline parent RPM International Inc. closed out fiscal 2014 with news of record sales, an $800 million asbestos settlement, and yet another federal inquiry. The asbestos settlement "would resolve all present and future asbestos personal injury claims related to Bondex International Inc. and other related entities," RPM International announced Monday (July 28) on the heels of its fourth quarter and fiscal 2014 earnings report. Unexpectedly, the earnings announcement also included news of a new U.S. Securities and Exchange Commission inquiry into disclosures surrounding RPM's $61 million settlement with the U.S. General Services Administration. 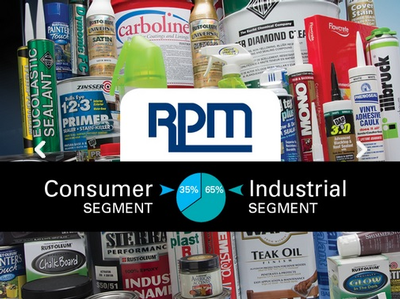 Industrial brands make up about two-thirds of RPM's $4.1 billion portfolio. That case involved overcharging on federal roofing contracts by RPM's Tremco business. RPM International Inc. is a $4.1 billion multinational holding company with subsidiaries that manufacture and market well-known high-performance coatings, sealants and specialty chemicals. Under the agreement, RPM would contribute a total of $797.5 million over four years to a trust that would cover claims. Those contributions would be tax deductible for RPM. The $800 million price tag is a compromise. In May 2013, a federal bankruptcy judge tallied the potential claims against Bondex and parent company Specialty Products Holding Corp. at more than $1.1 billion. RPM had estimated the claims at $300 million to $575 million in a calculation the judge called "novel." RPM Chairman and CEO Frank C. Sullivan said the settlement would allow RPM "to move forward and put this chapter in our history behind us." The agreement "will resolve the Bondex-related asbestos liability, while enabling us to reconsolidate the financial results of SPHC's growing and profitable businesses," Sullivan said. Bondex made asbestos-containing products and materials and inherited others in a 1966 acquisition. Bondex and Specialty Products filed for Chapter 11 Bankruptcy on May 31, 2010. The agreement requires approval of the claimants, as well as the U.S. Bankruptcy Court and U.S. District Court. That process could take until the end of 2015. The asbestos settlement agreement followed an upbeat year-end announcement of RPM's fortunes for the fourth quarter and full year of 2014. A fiscal 2015 outlook with an earnings increase of 9 percent to 11 percent. "Our overall operating results for both the quarter and year were strong, led by continued vigor in both our consumer segment and most of our European businesses," said Sullivan. Carboline and other brands helped drive 8.5 percent sales growth in RPM's industrial segment in the fourth quarter. Segment sales were up 5.1 percent for the fiscal year. "In addition, our Legend Brands subsidiary had an extraordinary year, driven in part by the severe winter in North America, which stimulated demand for its restoration services equipment. "Net sales, net income and diluted earnings per share all experienced significant growth, compared to both reported and adjusted prior-year results." Both sides of RPM's business showed growth. Fourth-quarter sales in the global industrial segment, which comprises two-thirds of RPM's portfolio, grew by 8.5 percent from the prior-year quarter, Sullivan said. The division includes Carboline, Tremco, Flowcrete, Stonhard and other leading brands. "We were particularly heartened by the continued turnaround of our industrial businesses in Europe, which had struggled in the face of a very difficult economy a year ago, and where some of our businesses posted strong double-digit growth this year," said Sullivan. For the full year, industrial-segment sales increased by 5.1 percent to $2.77 billion, including 4.6 percent organic growth. Problems continued to follow Tremco, however. The company is No. 1 in the North American high-end institutional roofing market and No. 2 in the North American sealants market. RPM said Monday that the SEC had notified the company on June 24 that it "is the subject of a formal investigation pertaining to the timing of its disclosure and accrual of loss reserves with respect" to the Tremco-GSA settlement. The settlement was announced in August 2013 and finalized in the first quarter of FY 2014 with a $61.9 million payment. RPM paid nearly $62 million to resolve allegations of overcharging the federal government on Tremco products and services. 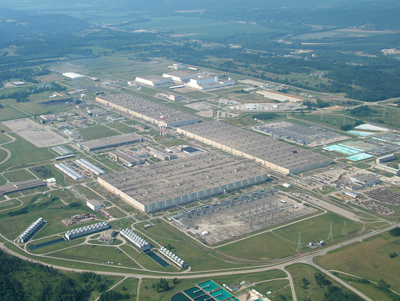 Two Tremco roofs were installed at the Portsmouth Gaseous Diffusion Plant, a nuclear facility in Piketown, OH. RPM called the installations a mistake. RPM says it has hired outside counsel to investigate the issues but believes they relate to recording of aspects of the settlement. Sullivan said Monday that the troubled Tremco division remained "particularly challenging." He said the business had "completed an internal reorganization" with "a new, energized management team." RPM reported good news on its consumer side, which is focused largely on North America and includes well-known brands Rust-Oleum, DPA and Zinsser. Net sales for that segment grew by 10.0 percent to $507.6 million over the prior-year quarter. Organic sales were up 9.0 percent, while acquisition growth added 1.0 percent. Recovery in the U.S. housing market benefited Zinsser and other consumer brands. Sullivan called the fourth-quarter consumer growth "remarkable." He cited "gradual comeback in the North American housing market" as well as "market share gains and the introduction of new products at price points higher than our traditional offerings." For the full year, consumer segment sales increased by 11.4 percent (6.4 percent organic growth; 5 percent acquisition). For FY 2015, RPM forecast six to eight percent growth in consolidated net sales: five to seven percent on the consumer side and six to eight percent in the industrial segment. 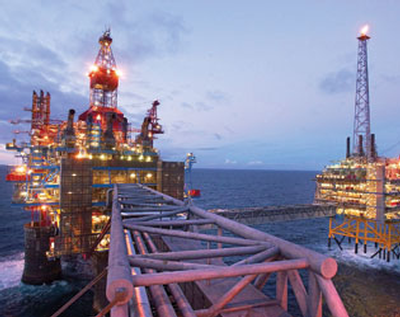 Overall net income is expected to increase by nine to 11 percent, the company said. The consumer segment forecast assumes "ongoing recovery in the North American housing market, market share gains and market acceptance of new products at higher price points than our traditional consumer product lines." On the industrial side, Sullivan said, "[W]e expect momentum in our European businesses to continue at a more moderate pace, with a return to growth at the Tremco roofing division, along with slow growth in businesses serving the North American commercial construction markets."